Will Kelsey Grammer & Chris Pine Land in Neverland? 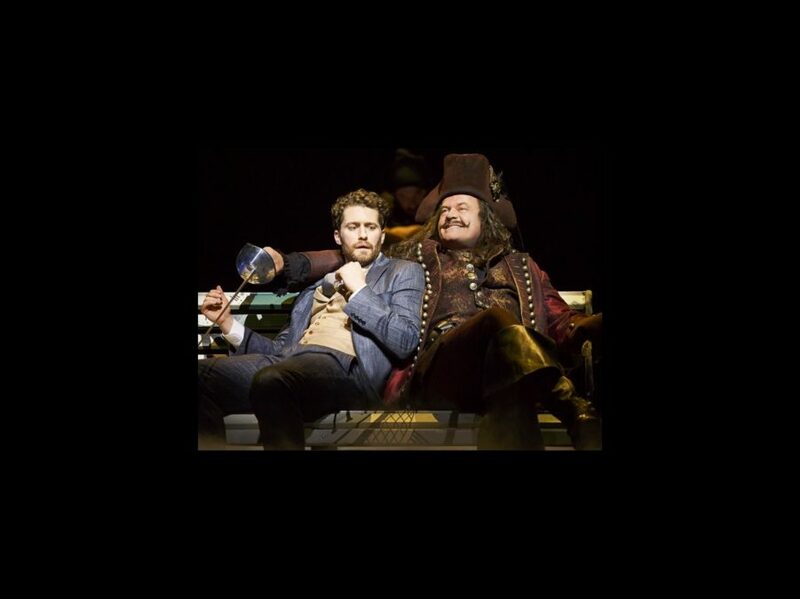 Broadway.com has confirmed that Kelsey Grammer will fly back to Finding Neverland at the Lunt-Fontanne Theatre. The Emmy winner, who originated the role of Charles Frohman in the Broadway.com Audience Choice Award-winning tuner, is expected to land in the production in early 2016. According to the New York Post, producer Harvey Weinstein is also reportedly eyeing Into the Woods' Chris Pine to take over as J.M. Barrie when Matthew Morrison departs the show in February next year. Three-time Tony nominee Terrence Mann is currently playing Frohman, after taking over for Grammer's replacement Anthony Warlow on September 29. It has already been announced that Mann will move with Neverland co-star Carolee Carmello to star in Tuck Everlasting on the Great White Way this coming spring. Directed by Diane Paulus and featuring a score by Gary Barlow and Eliot Kennedy and a book by James Graham, Finding Neverland follows the story of J.M. Barrie (Morrison) and his relationship with the family of widow Sylvia Llewelyn Davies (Laura Michelle Kelly). Llewelyn Davies' children eventually became Barrie's inspiration to write Peter Pan. Along with Morrison, Kelly, Warlow and Carmello, the cast also currently includes Teal Wicks, Casey Butler, Alex Dreier, Jackson Demott Hill, Noah Hinsdale, Christopher Paul Richards, Eli Tokash, Courtney Balan, Kristy Cates, Dana Costello, Colin Cunliffe, Rory Donovan, Chris Dwan, Francesca Granell, Kevin Kern, Josh Lamon, Nick McGough, Mary Page Nance, Emma Pfaeffle, Jonathan Ritter, Tyley Ross, Julius Anthony Rubio, Paul Slade Smith, Jaime Verazin, Ryan Worsing and Amy Yakima.